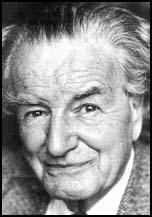 Christopher Hill, the son of a solicitor, was born in York on 6th February, 1912. His parents were Methodists and he later claimed this had an important influence on his political development. He attended St. Peter's School and his academic ability was so obvious that he was recruited by Vivien Galbraith, a don at Balliol College, at the age of sixteen. Hill became a Marxist while at Oxford University. He later admitted that this was a result of attending the Thursday Lunch Club organized by G. D. H. Cole. Hill pointed out that at these meetings "I was forced to ask questions about my own society which had previously not occurred to me." In 1935 Hill joined the Communist Party of Great Britain and spent a year in the Soviet Union. On his return he became an assistant lecturer at University College. After two years in Cardiff he returned to Balliol College as a tutor in modern history. After long discussions with A. L. Morton, Hill published his influential article, The English Revolution 1640 (1940). He later recalled how he wrote it "as a very angry man believing I was going to be killed in the war." In 1940 Hill joined joined the British Army. He served as a lieutenant in the Oxford and Bucks Light Infantry before becoming a major in the intelligence corps. In 1943 he was seconded to the British Foreign Office where he remained for the rest of the Second World War. Hill joined E. P. Thompson, Eric Hobsbawm, Rodney Hilton, A. L. Morton, Raphael Samuel, George Rudé, John Saville, Dorothy Thompson, Edmund Dell, Victor Kiernan and Maurice Dobb in forming the Communist Party Historians' Group. Saville later wrote: "The Historian's Group had a considerable long-term influence upon most of its members. It was an interesting moment in time, this coming together of such a lively assembly of young intellectuals, and their influence upon the analysis of certain periods and subjects of British history was to be far-reaching." In 1947 Hill published Lenin and the Russian Revolution. Two years later Hill and Edmund Dell published the path-breaking collection of documents on the English Civil War, The Good Old Cause (1949). Hill published Economic Problems of the Church in 1955. John Saville argued in his autobiography, Memoirs from the Left, that Hill in the 1950s was a historian of growing reputation and "a man of notable integrity: characteristics which have remained throughout his life." During this period MI5 and police special branch officers tapped and recorded his telephone calls, intercepted his private correspondence and monitored his contacts. MI5 said the object of keeping checks on Hill to establish “the identity of his contacts at the University (of Oxford) and in the cultural field generally, and to obtain the names of intellectuals sympathetic to the (Communist) party who may not already be known to us”. Hill was disillusioned by the events in the Soviet Union and the invasion of Hungary. MI5 files show that at a meeting at the party’s headquarters at King Street, at the end of 1956, Hill, Eric Hobsbawm and Doris Lessing agreed to write a letter attacking the party leadership’s “uncritical support … to Soviet action in Hungary”, a reference to the crushing of the uprising there. That support, the letter explained, was “the undesirable culmination of years of distortion of facts”. Hill, who left the party a year later, used the phrase “the crimes of Stalin” at the meeting, according to the MI5 report. The party’s paper, The Daily Worker, refused to publish the letter. Hill left the Communist Party of Great Britain in 1957. Books by Hill included Puritanism and Revolution (1958), The Century of Revolution (1961), Society and Puritanism in Pre-Revolutionary England (1964), Intellectual Origins of the English Revolution (1965),Reformation to Industrial Revolution (1967), God's Englishman (1970), The World Turned Upside Down (1972) and The Levellers and the English Revolution (1977). After retiring as Master of Balliol he worked as a visiting professor at the Open University. He also published Intellectual Consequences of the English Revolution (1980), The World of Muggletonians (1983), The Experience of Defeat (1984), The English Bible in 17th Century England (1993), Liberty Against the Law (1996) and The Changing Politics of Foreign Policy (2002). Christopher Hill died on 24th February, 2003. (1) Christopher Hill, writing in October 1971. There are few activities more cooperative than the writing of history. The author puts his name brashly on the title-page and the reviewers rightly attack him for his errors and misinterpretations; but none knows better than he how much his whole enterprise depends on the preceding labours of others. There were, we may oversimplify, two revolutions in mid-seventeenth-century England. The one which succeeded established the sacred rights of property (abolition of feudal tenures, no arbitrary taxation), gave political power to the propertied (sovereignty of Parliament and common law, abolition of prerogative courts), and removed all impediments to the triumph of the ideology of the men of property - the protestant ethic. There was, however, another revolution which never happened, though from time to time it threatened. This might have established communal property, a far wider democracy in political and legal institutions, might have disestablished the state church and rejected the Protestant ethic. The object of the present book is to look at this revolt within the Revolution and the fascinating flood of radical ideas which it threw up. History has to be rewritten in every generation, because although the past does not change the present does; each generation asks new questions of the past, and finds new areas of sympathy as it re-lives different aspects of the experiences of its predecessors. The Levellers were better understood as political democracy established itself in late nineteenth and early twentieth-century England; the Diggers have something to say to twentieth-century socialists. Now that the Protestant ethic itself, the greatest achievement of European bourgeois society in the sixteenth and seventeenth centuries, is at last being questioned after a rule of three or four centuries, we can study with a new sympathy the Diggers, the Ranters, and the many other daring thinkers who in the seventeenth century refused to bow down and worship it. The undoubted dominance of Christopher Hill in the history of the English Revolution may be attributed to his prolific record of books and articles, and his continuous engagement in debate with other historians; to the breadth of his learning, embracing the history of literature, the law, science, as well as religion and economics; to the fact that his work set the agenda and the standard to which all historians of the period had to address themselves, whether in support of or opposition to his methods and interpretations; but above all to the inspiration he drew from Marxism. The English Revolution took place in a culture dominated by religious ideas and religious language, and Christopher Hill recognised that he had to uncover the social context of religion in order to find the key to understanding the English Revolution, and as a Marxist to ascertain the interrelationships between the intellectual and social aspects of the period. Christopher Hill spent his life seeking to persuade people that the English Revolution was a decisive event or, as he titled his last book, England's Turning Point (1998), and he succeeded. A brilliant, often sardonic wit, an incisive mind, and a deeply compassionate person, he was the finest product of the British radical tradition, and he did more than anybody to establish Marxism as central to that tradition. It is hard to accept that there will no longer, year by year, be a new book by Christopher Hill, enlightening, stimulating new thoughts, and no doubt something to quarrel with. It would be a pardonable exaggeration to say that Hill created the way in which the people of late 20th-century Britain - and the left in particular - looked at the history of 17th-century England. As he never tired of pointing out, some of the themes he illuminated so richly had already been explored by left-wing scholars in the 1930s. But from 1940, when he published his tercentenary essay, The English Revolution 1640, his own voluminously expanding and unfailingly literate work became the starting point of most subsequent interpretation, even for those who rejected his method and conclusions. No historian of recent times was so synonymous with his period of study; he is the reason why most of us know anything about the 17th century at all. He was, EP Thompson once said, the dean and paragon of English historians. At a fraught meeting at the party’s headquarters at King Street in London’s Covent Garden, at the end of 1956, Hobsbawm, Hill and the writer Doris Lessing agreed to write a letter attacking the party leadership’s “uncritical support … to Soviet action in Hungary”, a reference to the crushing of the uprising there. That support, the letter explained, was “the undesirable culmination of years of distortion of facts”. Hill, who left the party a year later, used the phrase “the crimes of Stalin” at the meeting, according to the MI5 report. The party’s paper, the Daily Worker, refused to publish the letter which was later run by Tribune, the leftwing weekly.